« Lessons from the 2018 National Postdoctoral Association Annual Conference–Your Career Is Your Business! The third week of September is a special week for postdocs. 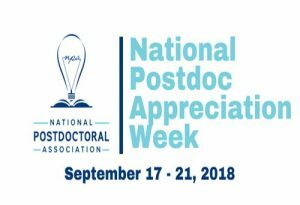 As declared by Congress, it is National Postdoctoral Appreciation Week. Since 2009, the National Postdoctoral Association (NPA) has sponsored this week-long celebration. NPAW grew out of National Postdoc Appreciation Day, which was held on September 24, 2009. In 2010, NPAW culminated with the passage of house resolution 1545 by the U.S. House of Representatives. The resolution, which was passed on September 24, 2010, nationally recognized NPAW. During this time, it is important not only to celebrate the contributions of our postdocs, but also to reflect on the purpose of a postdoctoral appointment. As defined by the NPA, a postdoctoral scholar (“postdoc”) is an individual holding a doctoral degree who is engaged in a temporary period of mentored research and/or scholarly training for the purpose of acquiring the professional skills needed to pursue a career path of his or her choosing. As we’ve discussed in past years, the key parts of this definition are mentoring and professional growth. One shared need in both of these is receiving useful feedback. 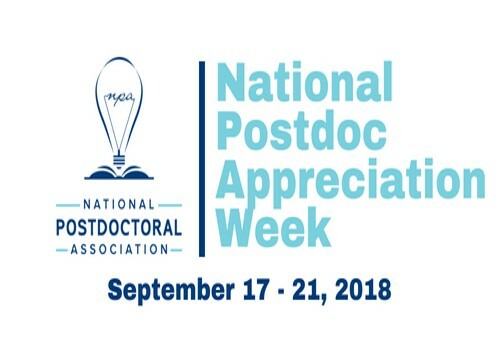 During NPAW, I encourage supervisors and mentors of Postdoctoral Appointees and Argonne Scholars not only to give that much needed show of encouragement and appreciation, but also to be specific in doing so. It is important for people early in their careers not only to know that they are doing a good job, but also, why. To get to the “why”, consider using a feedback model called SBI. I recently learned of this model while observing the Safety Academy For Excellence (SAFE) training and think it’s worth giving a try. In the SBI feedback model, SBI stands for situation, behavior and impact. Finally, communicate the impact of the behavior. This is the “why”. Knowing the why will reinforce good habits and help your postdoc continue to grow professionally. Pats on the back are great, don’t get me wrong. Knowing why you are getting the pat on the back can add greater meaning and boost confidence. Try it out and let us know how it goes! This entry was posted in Career Corner, Mentoring and tagged appreciation, feedback, mentoring, postdocs. Bookmark the permalink.